Almost two weeks ago I left my peaceful home in Vancouver, BC, Canada to embark on a month-long road trip across the United States of America. Like most people I know, I’ve been utterly fascinated with the upcoming US presidential election, and I was sure that the timing of my trip would allow me to witness just how divided and politically charged up the country really was. From the coverage I had been seeing on social media and 24-hour news channels, I was sure that politics would be all anyone was talking about down there. I couldn’t wait to see Trump supporters in the flesh — finally witness the sea of “Make America Great Again” hats and “Hillary for Prison” t-shirts of this unbelievably loud and disenfranchised group of Americans I had heard so much about. I was sure that within no time at all I would get a real grasp on how most Americans were really feeling about this crazy election. So what have I found out? Not much at all. In almost 13 days in the United States, I’ve seen very little to suggest that anything is even going on. Sure, every time I’ve driven 50 miles away from a big city I’ve seen some homemade “Trump 2016” signs but these are at the same residences that already had a collection of confederate flags, so I take their influence with a grain of salt. And, yes when I turn on AM radio, there is an abundance of non-stop talk about Clinton and Trump, but out in public I’ve heard less American political talk then I do up in Canada. 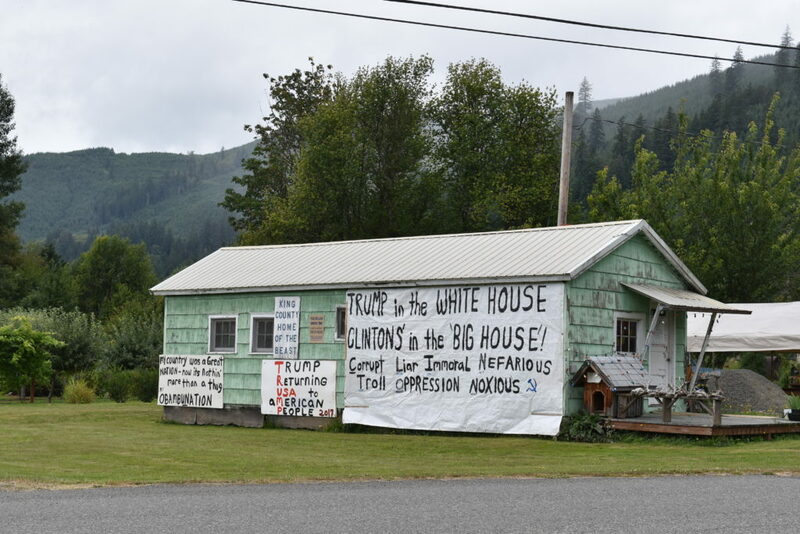 These are real signs on a house I passed by somewhere in southeastern Washington. At every single restaurant, every park, every beach, from Washington to Arizona, I haven’t overheard even a whisper about “Donald” or “Hillary” or “a wall” or “a temporary ban” or “e-mail servers”… none of it. So far, I really haven’t been able to get a sense of the climate of the American people towards this election in the way I expected I would. I mean, I first saw all the PokemonGo stories online and thought they might have been exaggerated, but when I went outside I actually saw the mayhem for myself. I can’t say the same thing about the presidential election. There’s only one place that I’ve managed to bear witness to any true discussion of the election from regular Americans. 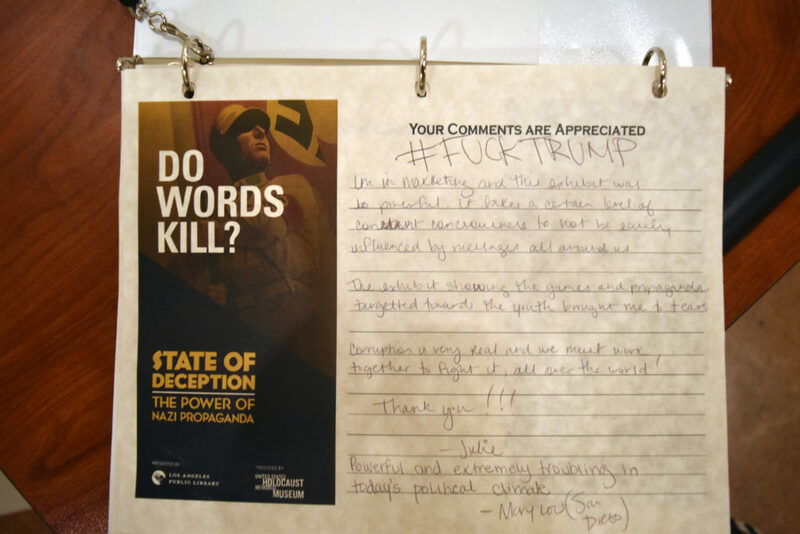 So right now, my entire basis for average Americans feelings on Trump vs. Hillary is derived from the guestbook of an exhibit entitled “State of Deception: The Power of Nazi Propaganda” that I visited at the Los Angeles Central Public Library. 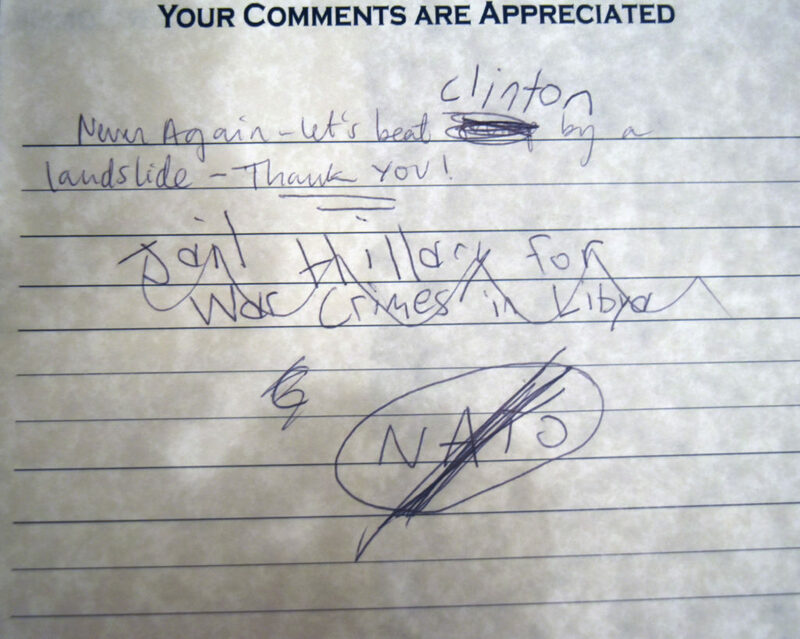 The book said “Your Comments are Appreciated” and boy did visitors vent their, from what I have observed, pent-up political thoughts. 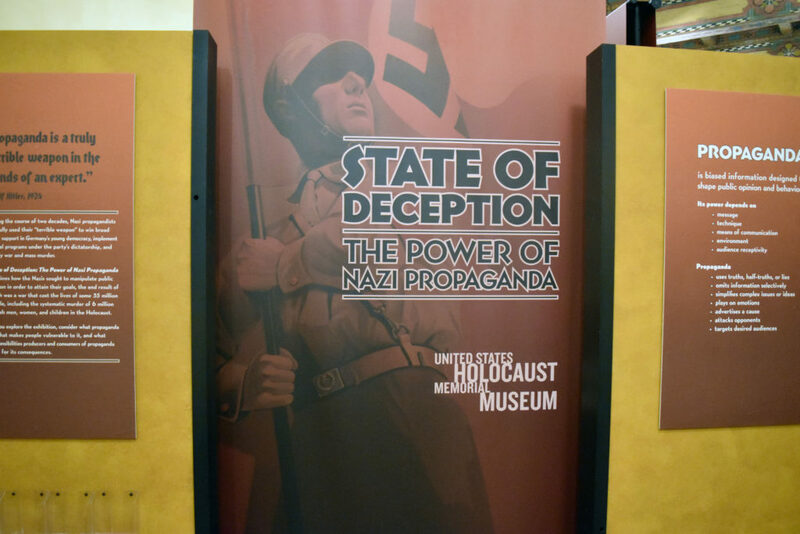 This is the entrance to the exhibit on Nazi Propaganda at the LA Central Library. As you can see, I haven’t really learned anything new about average Americans feelings towards the election. This is really just the pen and paper version of an online comment thread you might see on a post by CNN’s Facebook page. Still, it’s nice to see that some people still get out of the house to engage in flame wars. I hope I’ll learn more about the election in my remaining time here. I’m headed to Texas soon and something tells me people there might be a little less shy about voicing their opinions. Full disclosure, I actually have seen one “Make America Great Again” hat. Just one though. It was being worn by an old white man (surprise!) sitting on a bench at Venice Beach, and he was being engaged in what looked like a civilized debate with a black man (on the part of the black guy, I don’t think the ‘great’ hat guy was saying anything). 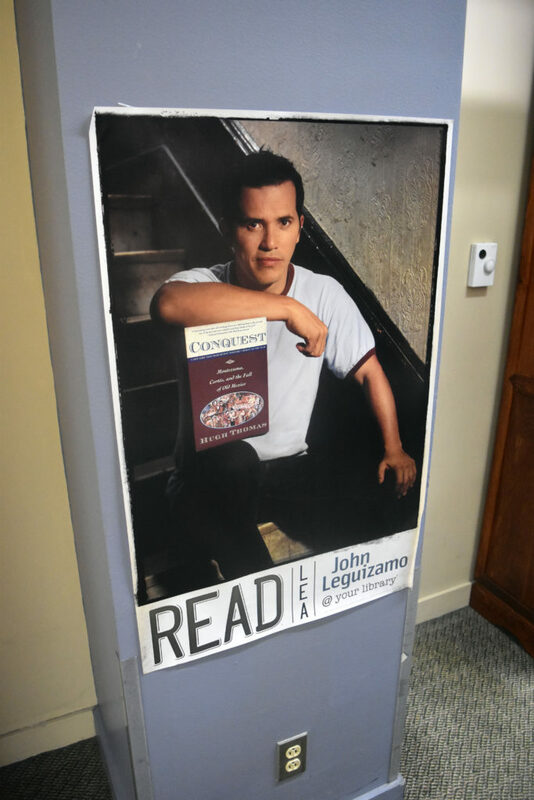 Also, the LA Library had a great promotional poster to get people to read featuring actor John Leguizamo. That book can’t really have been in the original picture, right? For some reason though, it seems like they had to photoshop the book into the picture. I might write about this trip again if I find some more free time. Thanks for reading! He hasn’t even set foot in the city yet, but Vancouver Canucks fans already seem to know a lot about Erik Gudbranson. 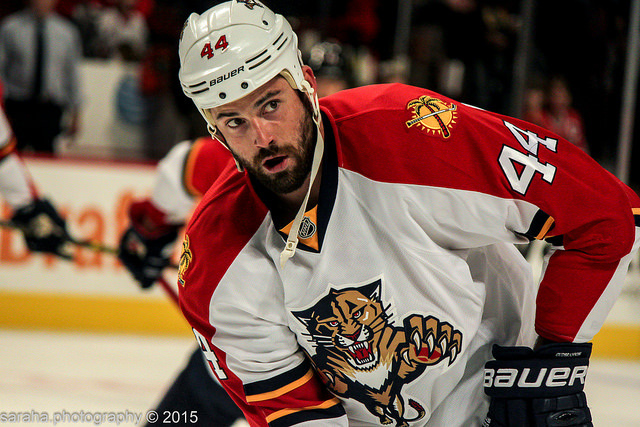 Gudbranson, 24, was traded on May 25, in exchange for Canucks prospect, Jared McCann, and two draft picks. While many Canucks fans already ‘know’ that their new 6’5″ defenseman’s advanced statistics prove that he was a poor acquisition for the team, there’s a lot more to him than just his ‘possession-metric’. Here are some things you probably haven’t heard about the newest Canuck. Although Gudbranson was quickly recognized as a special hockey player, it wasn’t the only sport in which he excelled. According to The Ottawa Citizen in 2008, giving up soccer was one of his biggest decisions prior to being drafted into the OHL, as he “was one of the outstanding goalkeepers in the region,” playing for Capital United and Cumberland in the Orleans, Ontario area, where he grew up. 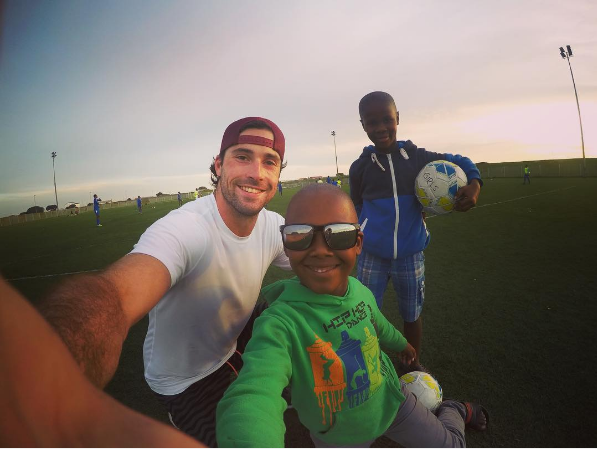 He busted out his soccer talents recently however, while he was volunteering this summer in Africa. Erik isn’t the only Gudbranson whose made a name for himself. His father may not be a famous hockey player, but he certainly is notable in the tech industry. Wayne Gudbranson is the CEO of the Branham Group which is “a leading Industry Analyst and Strategic Advisory company servicing the global Information and Communication Technology (ICT) marketplace.” According to his LinkedIn, he has A LOT of skills, although his twitter shows that he also has a lot of free time to follow his son’s hockey career. Before he was even drafted into the NHL, Gudbranson was selected in the first entry draft for the new Kontinental Hockey League in 2009. 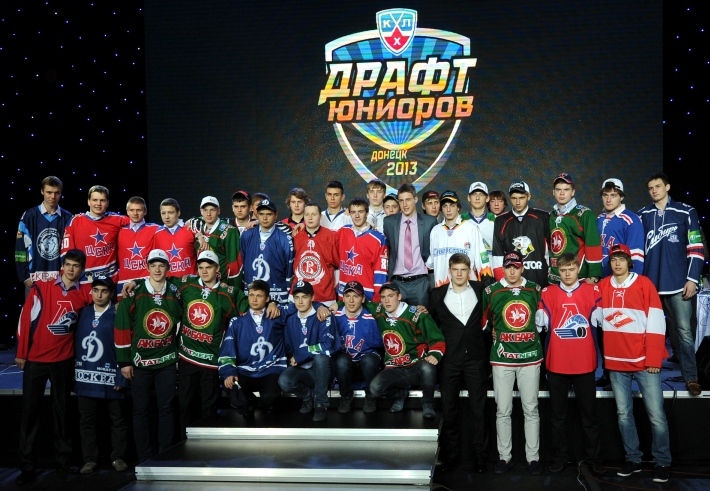 The Russian teams didn’t take a chance on too many North Americans, but Dynamo Moscow drafted a pair of top Canadian prospects in the third round with Gudbranson going 62nd overall. 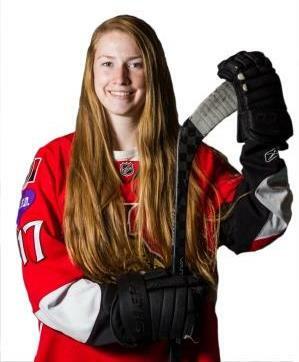 The first Canadian KHL draft pick? Former Canucks winger Zack Kassian, who went 56th. While Gudbranson’s junior team, the Kingston Frontenacs, didn’t advance past the first round of the OHL playoffs while he was there, and this past season was his first trip to the Stanley Cup playoffs with the Panthers, he’s won a couple of big international prizes. 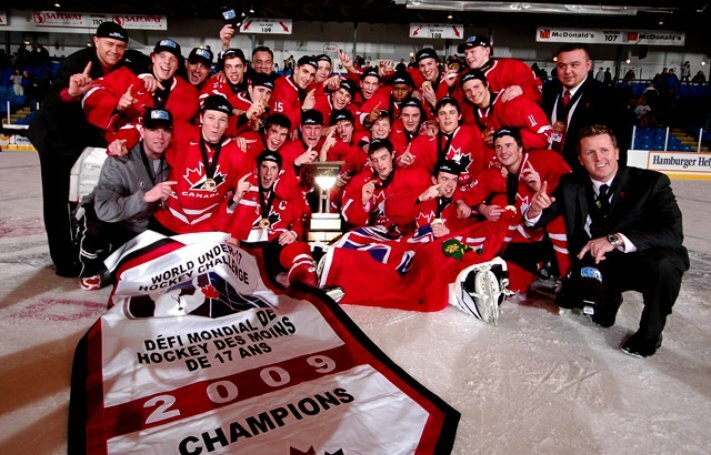 He captained Team Ontario at the World U17 Hockey Challenge to a gold medal in 2009, and was also a member of Team Canada at the U18 Ivan Hlinka Memorial Tournament that won gold that same year. His third medal is the only one he won in minor hockey, in his very first year of competitive hockey: a 1999 Gloucester Minor Hockey Association Championship with the Blackburn Novice ‘B’ Stingers. Gudbranson told the Orleans Star in 2010 that “it’s an important medal” and that the game was his first taste of a packed crowd and a very exciting moment. He’s sure to get a few more of those moments in Vancouver (the big crowds, not the championships) if he sticks around.